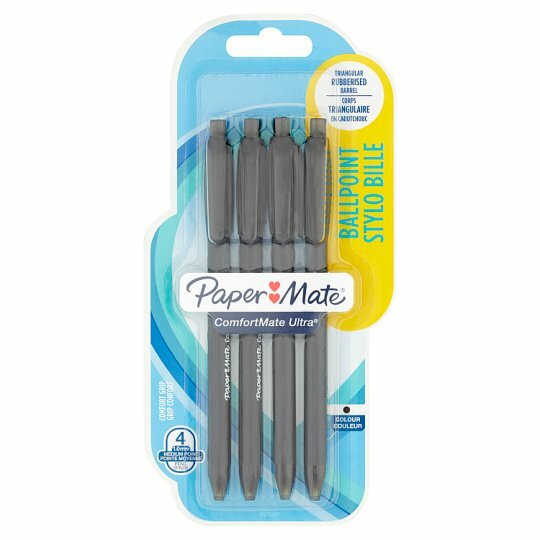 Comfortmate Ultra Retractable ball point pen has full triangular rubberised barrel for increased comfort! Also try Paper Mate® InkJoy Gel Pens. Offered in 14 colours for a fun and enjoyable writing experience.